Union Pacific’s 4-8-8-4 “Big Boy” No. 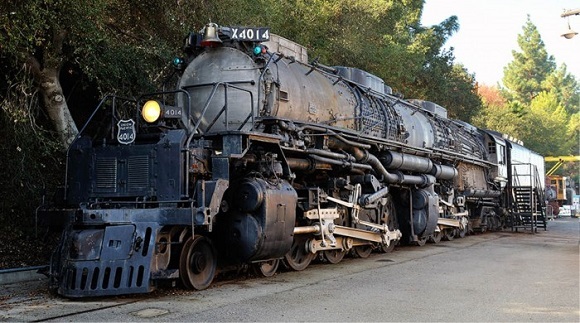 4014 is one of the biggest and probably most renowned steam locomotive ever invented. Quite recently it was resized and built with 3D printing. The immense 3D printed model is about 1.83 meters long. 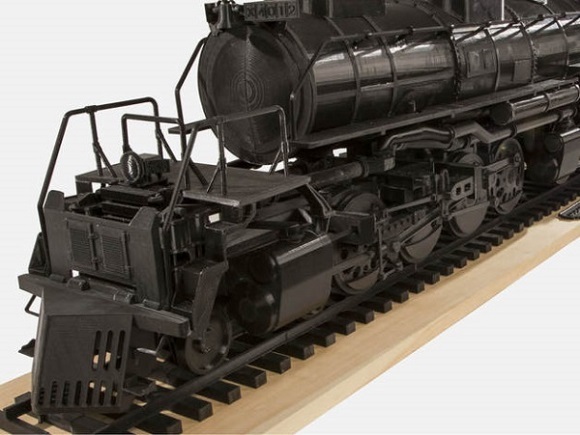 It took Paul Fischer from Maryland, USA, its inventor, about 700-800 hours to sketch and then 1,000 hours to 3D print the locomotive using a MakerBot Replicator 2 Desktop 3D Printer. Paul Fischer is also known to have recreated various German tanks from World War II. This time his wish was to create things more immense and difficult. He ordered authentic sketches of the 4-8-8-4 Big Boy that Union Pacific Railroad used in the 1940s-1960s. SolidWorks 3D prototyping software helped rebuild the whole Big Boy engine, after which the files were sent to a MakerBot Replicator 2. Fischer tried to make it look from the outside exactly as it used to look in reality. Fischer spent a few months studying 16 rolls of MakerBot True Black PLA Filament and wasted two 2-oz. tubes of Zap Super Glue to build the locomotive. As soon as he heard the printer stop, he started it once again. The 3D printed Big Boy can be seen in Brooklyn, NY at MakerBot headquarters. It was really difficult work, but the end was worth all the effort. In the 1930s the Union Pacific used to turn to helpers to move trains to Wahsatch. The UP wished to make the process easier and they turned to their “Department of Research and Mechanical Standards” to create a locomotive that would drag a 3600 ton train. The American Locomotive Company (Alco) created 25 Big Boys especially for Union Pacific in 1941-1944. Those were 132 feet long and 1.2 million pounds (engine and tender) when ready for work. The Big Boy-4014’s engine body was the longest of all reciprocating steam locomotives. In December 1961 she was tested having travelled 1,031,205 miles for 20 years of work.